This exhibition is the first broad selection of work by Wols to be presented in North America. It is a unique exploration of the connections between the various artforms - photography, painting and etching - in which the artist worked. Introspective, transcendent of its subject matter, Wol's imagery is a profoundly moving response to the 'sickness' of the age of 1930's and 40's Europe. 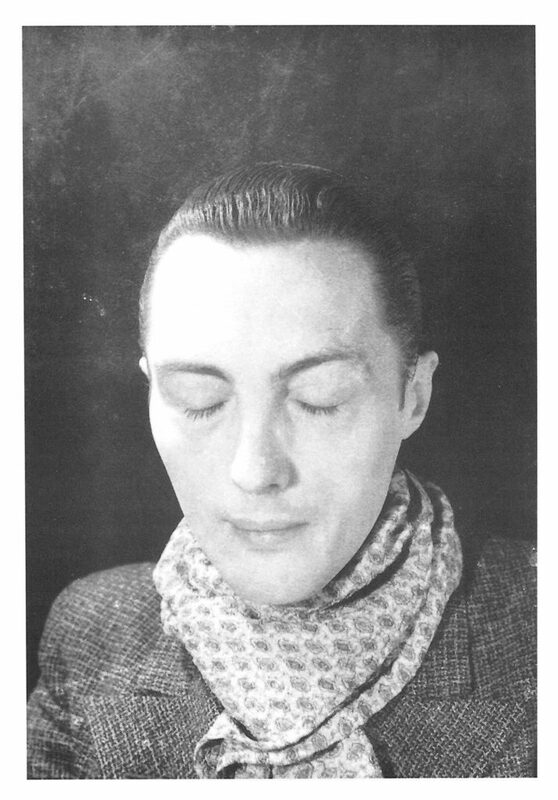 His work has been an important influence for contemporary artists in the late 20th century. 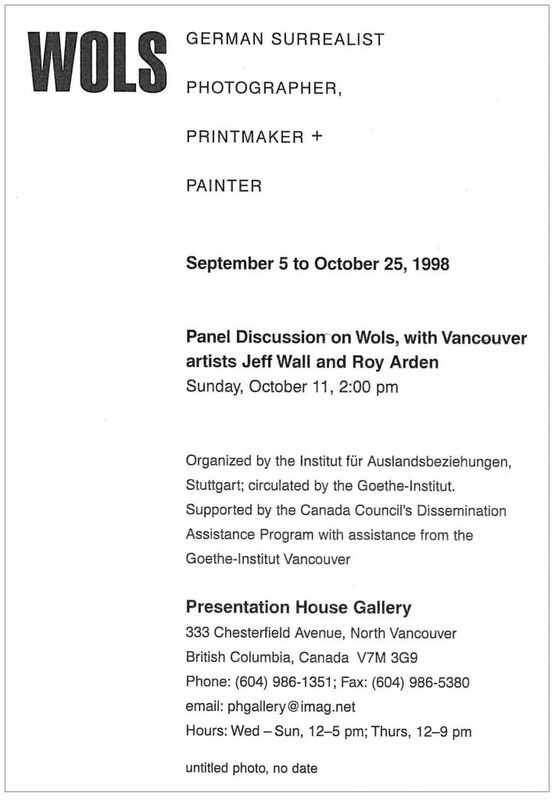 Supported in Vancouver by the Canada Council’s Dissemination Assistance Program and the Goethe-Institut Vancouver. Thursday, October 1, 7:30 pm | Panel Discussion on the work of Wols and his influence on contemporary artists, with Vancouver artists Jeff Wall and Roy Arden.